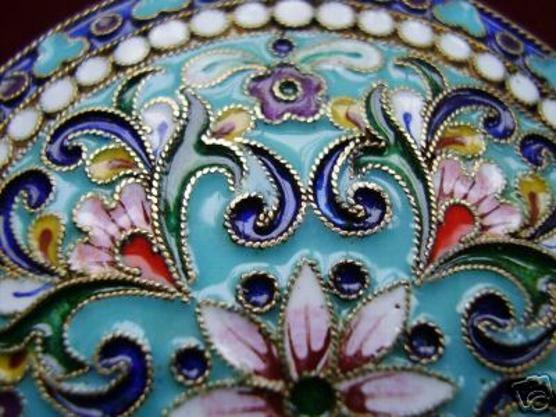 Russian Imperial Sterling Silver Enamel Box Faberge Type.Was made by a russian artist with a marvelous work of sterling silver covered with beautiful enamel made of vivid colors and ranged with a delicate filigree contour. 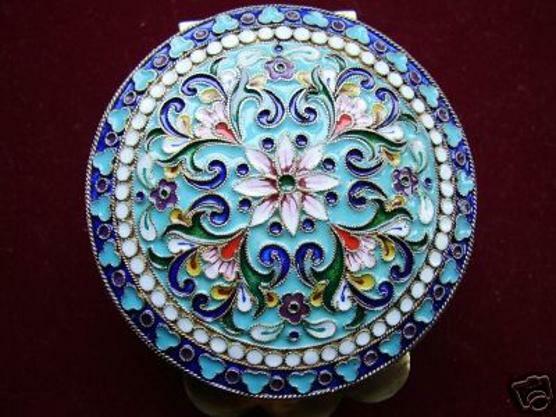 The box is gilded with 18K gold, it is very impressive and very well kept. 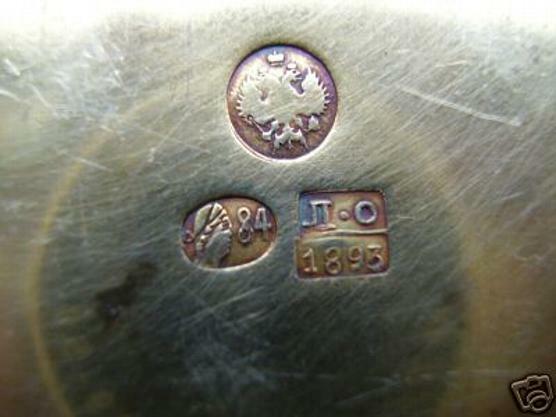 Carrying russian silver 84 hallmarks along with a maker's mark (L.O) in Russian , a year mark (1893) And a double headed eagle mark. Condition is very good. Height: 4.5 cm/1.75 in. 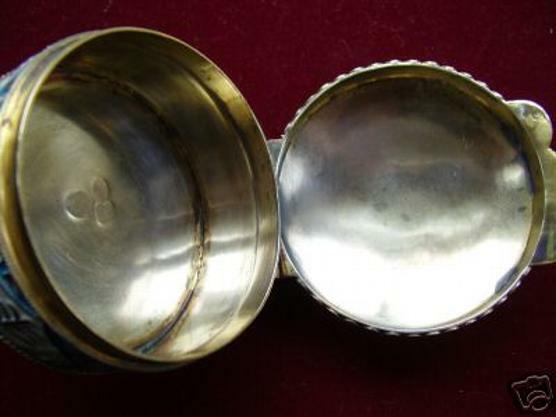 Diameter -6.5 cm/2.5 in., Weight - 112 gr.